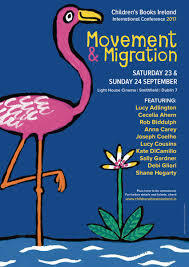 The annual Childrens Books Ireland will take place on 23 and 24 September this year, at the Lighthouse Cinema in Dublin. 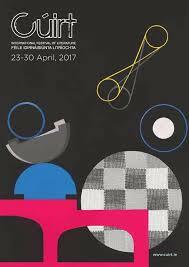 Under the theme of Movement and Migration, we will gather for what must be one of the most exciting and adventurous events of the book world. And the visiting authors, illustrators and general childrens books people in the line-up promise to make the conference outstanding; Rob Biddulph, Kate DiCamillo, Sally Gardner, Lucy Cousins, Anna Carey, Cecelia Ahern....and so many more! It is going to be fantastic, so book your ticket now. Yesterday, in a ceremony at Dublins' Smock Alley Theatre, Childrens Books Ireland announced the incredible winners for this years Book of the Year Awards. 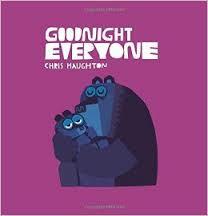 The overall winner for 2017 went to Chris Haughton for his picture book, Goodnight Everyone. This beautiful book combines Haughtons' cut-paper style illustration in a gradually darkening palette with simple text to journey through the forest as nighttime sets in and the animals go to sleep for the night. Subtle, quiet and calming, it is set to join such childrens' classic bedtime books as Goodnight Moon. Goodnight Everyone also won the Honour Prize for illustration. My favourite award in this annual event is the Childrens' Choice Award, as the book is selected by children all over Ireland involved in the CBI shadowing scheme. 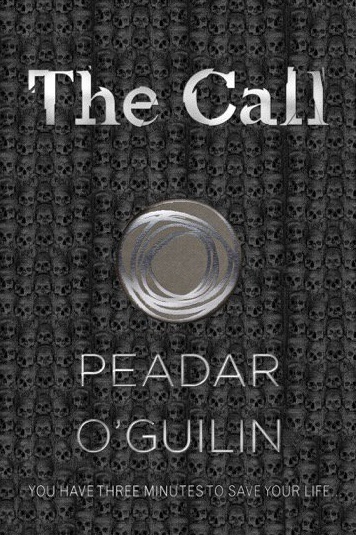 This year, the firm winner was Peadar Ó Guilíns' The Call. An unnerving horror-fantasy, this blend of Irish mythology and contemporary coming-of-age see the Sidhe returning to take their revenge. Not so much about the horrible things that happen, this book is more about the dread of knowing something is coming for you. Chilling and well done! for The Ministry of Strange Unusual and Impossible Things (S.U.I.T.s). 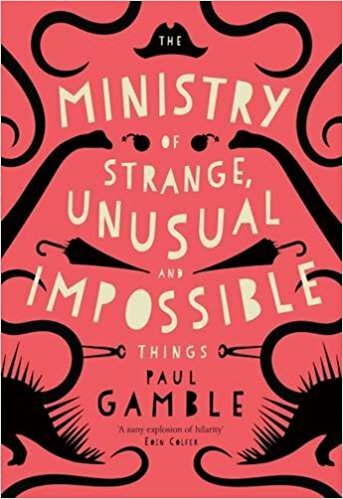 THis off-the-wall adventure tells of a secret Ministry hidden away within the depths of the Ulster Museum in Belfast and it's dealings with all the in the world we don't want to think about.Packed full of adventure and hilarity, it's one of my favourites! Yesterday, the British Book Awards 2017 announced their winners, with The Essex Serpent taking the top prize for fiction. However, I am concerned with childrens' books, as you all know. The prize in childrens' book of the year went to the amazing book, The Girl of Ink and Stars by Kiran Millwood Hargrave. Hargraves' debut won out over JK Rowlings' script, Harry Potter and the Cursed Child, as well as a host of other fine books and authors, such as David Walliams, Tom Fletcher and Nadiya Hussain, all of whom had high sales and many accolades. But The Girl of Ink and Stars truly shines. Not only has it won this award, but has already been honoured with the Waterstones childrens' book prize 2017 and is shortlisted for both the Branford Boase award and the Carnegie medal. 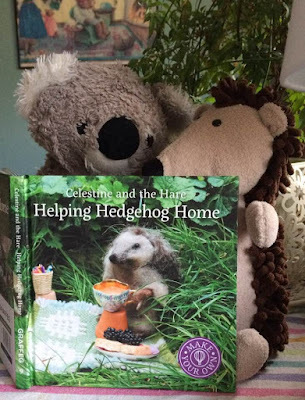 "Woven with all the magic of fairy tales and childhood memories...The presentation of the book is simply perfect, each page illustrated with cartographic references that gives the physical book the feel of the journey, of movement as you weave through the tale with Isabella. 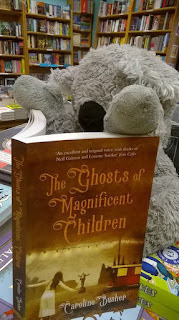 Truly beautiful writing, magical, mythological and positively spell-binding..."
Congratulations to Kiran, and to all at Chicken House who worked so diligently to create this magical tale. 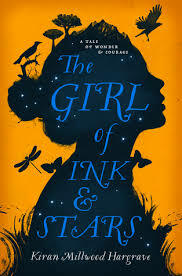 As mentioned above, The Girl of Ink and Stars is shortlisted for yet another prize, the Branford Boase Award, along with seven others of outstanding quality. The Branford Boase Award is given annually to reward new writers and their editors, and to celebrate excellence in writing and editing. This years' shortlist certainly indicates such excellence. The nominees for the 2017 award are: Cogheart by Peter Bunzl, editor:Rebecca Hill; We Are Giants by Amber Lee Dodd, editor: Niamh Mulvey; Little Bits of Sky by Sue Durrant, editor: Kirsty Stansfield; The Bubble Boy by Stewart Foster, editor: Rachel Mann; The Girl of Ink and Stars by Kiran Millwood Hargrave, editor:Rachel Leyshon; Beetle Boy by M G Leonard, editors: Barry Cunningham and Rachel Leyshon and Riverkeep by Martin Stewart, editors: Shannon Cullen and Sharyn November. This must be a particularly difficult decision for the judges, for each of these novels is utterly different, yet each one is exceptional in so many ways. The very best of luck to all of you! 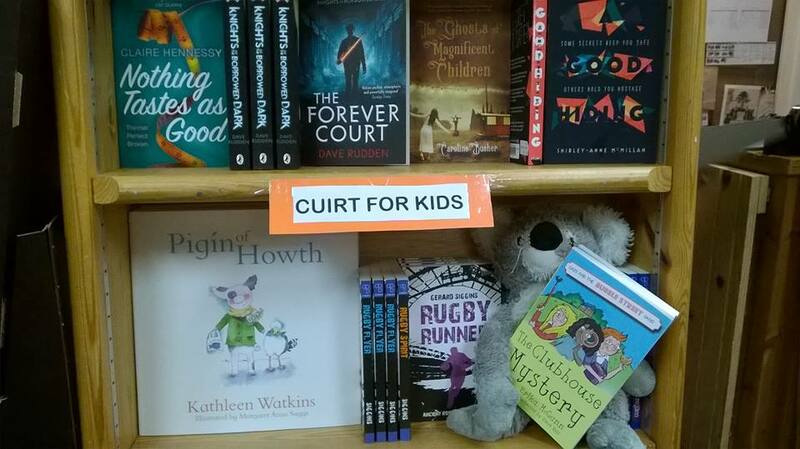 So, we bid farewell to the Cuirt International Literature Festival for another year...and it was fabulous. The childrens' authors/illustrators and storytellers that came for the Cuirt Labs were among the best and most interesting ever to share their knowledge, gifts and enthusiasm with so many of Galways' young people. 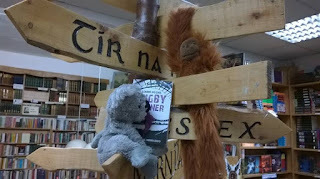 I want to add my personal thanks to all the authors, especially those who stopped in to say 'hi' and sign books. It was a pleasure to meet you all...and I can't wait to hear more from you! I had the distinct pleasure of introducing the YA authors panel on Saturday the 29th; Shirley-Anne McMillan (A Good Hiding), Claire Hennessy (Nothing Tastes As Good and many others) and Dave Rudden (Knights of the Borrowed Dark and its' sequel, The Forever Court). While I don't have a transcript of each of their presentations, perhaps the transcript of my introductions will give you a taste for their work. If you haven't experienced their books yet, you really should. You will not be disappointed. Hello and welcome to this afternoons’ Cuirt readings with Shirley-Anne McMIllan, Claire Hennessy and Dave Rudden. Many of you will have attended the Labs this afternoon and have experienced firsthand the energy, enthusiasm and knowledge these three have to offer. I’m sure you came away feeling inspired, with a regenerated excitement for reading and, hopefully, writing. I will introduce our authors in turn and they will talk about and read from their work. They are very interested in hearing from you and there will be time at the end for questions and comments. So, if you wouldn’t mind, please hold them until that time. We begin with Shirley-Anne McMillan. Shirley-Anne was born in Lisburn, co Antrim and has lived in Northern Ireland all her life. She studied at Queens’ University, Belfast and Manchester Metropolitan University. While studying, she wrote poetry, picture books and articles for free, local arts publications. Shirley-Anne has written and performed with the Belfast-based arts group, Ikon for several years. She has an interest in social activism, in particular Northern Ireland peace initiatives and LGBT equality. Shirley-Anne has a keen eye for the concerns and lives of young people and has worked with them to seek to enhance awareness and diversity among them. 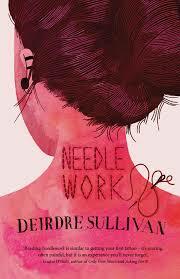 It is this keen eye that lead her to pen her novel, A Good Hiding, published in August 2016. A Good Hiding tells the story of two friends, 15-year-old Nollaig and her best-friend, Stephen. Nollaig has a traumatic home life with her alcoholic father. She has always been Stephens’ champion, defending him against bullies who lash out at him because he is openly gay. When Nollaig falls pregnant a few months before her 16th birthday, she runs away, hiding herself in the crypt of a local church. Feeling she has nowhere else to turn, she prevails upon Stephen to keep her secret and help her. There, they come across the vicar of the church, Brian, who has a secret of his own and blackmail him into helping them. 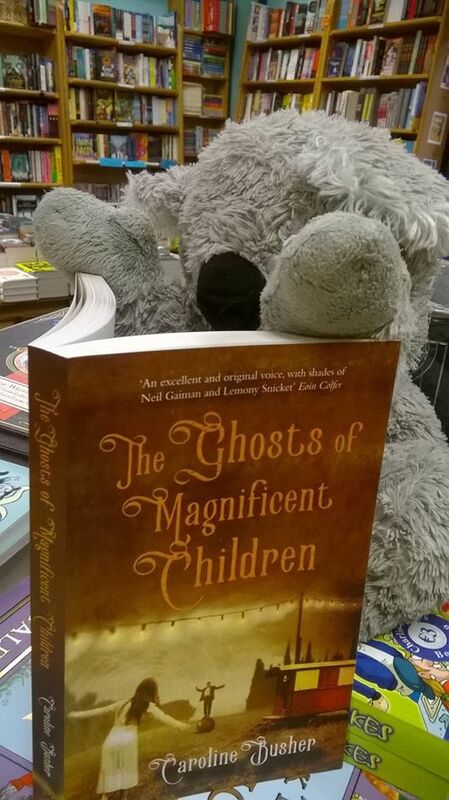 What follows is a dramatic and emotion tale of courage and revelation told in a unique voice that shines a light into the lives of Shirley-Annes’ subjects and reveals something of the challenges and changes of Northern Irelands’ young people today. Claire Hennessy is a very busy woman. Born in 1986 in Dublin, Claire attended Trinity College, where she completed a BA in history and English Literature, and Masters Degrees in Popular Literature and Creative Writing. She is a co-founder and co-director of the Big Smoke Writing Factory creative writing school in Dublin, teaches regularly for CTYI, reviews YA and childrens books for the Irish Times and other publications; is the co-editor and co-founder of Banshee literary journal and the Puffin Ireland editor at Penguin…the list goes on and on. As the author of numerous books for Young Adults, Claire regularly does author visits and writing workshops for schools, libraries and festivals.. She wrote her first novel, Dear Diary…. which was published by Poolbeg Press in February 2000. She was 14 years old. Claire hasn’t stopped writing since, with nearly a book year…sometimes two. Her last outstanding book, Nothing Tastes As Good was published by HotKey in July 2016. Tackling the prevalent and timely issue of eating disorders and body image with clear and compassionate perception, Nothing Tastes As Good is told in the unique, fascinating voice of Annabel. When we meet her, Annabel has died as the result of anorexia, and now exists in a liminal space. She is given the assignment of helping Julia without any direction as to what she is meant to do. To Annabel, who spent her abbreviated lifetime seeking to be ‘lighter than air’, Julias’ problem is obvious. But as Annabel cannot communicate with her directly, she becomes the ‘voice in her head’, attempting to guide Julia along a strict regime of exercise and weight loss.Clearly, Annabel still hasn’t come to terms with her own issue. With carefully crafted plot and character development, the story is woven, frayed and re-woven, coming to a resolution that, though not cut and dried, is filled with potential. Her latest book, Like Other Girls, will be published by HotKey in May and promises to be just as insightful and incisive as her last. And now we have Dave Rudden. What can I say about Dave Rudden? Dave received a Masters Degree in Creative writing from University College Dublin, earning him first-class honours. He has also been short-listed for the Bath Short-Story Prize in 2013, long-listed for the Fish Poetry Prize and won the Fantasy Review Short-Story Prize in 2011. After having international publishers battle it out over rights for his unique, exciting fantasy trilogy, the first in the series Knights of the Borrowed Dark was published by iconic Puffin last year in April. This brought a new unlikely hero, Denizen Hardwick into our lives. The orphaned Denizen finds himself flung into an ancient battle between the magic-wielding Knights and a race of monsters, the Tenebrous, composed purely of darkness. This year, Denizens' journey continues in The Forever Court, with more knights, more monsters and more menace. The world created is filled with texture and believeable quality, while the story is told with tension, drama and an enormous amount of humour. Not only is there a cracking fantasy story, but typical issues and concerns of coming-of-age process; friendship, loyalty, family relationships and issues of power and responsibility are handled with great dexterity. The effect is one that truly begs the question, if you're afraid of the dark, what is the dark afraid of?